Case study - Alicia from eSafety Office on Vimeo. 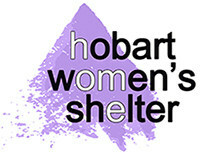 Hobart Women’s Shelter takes the safety of the women who access our service very seriously. As times have changed, so have the ways in which we need to keep ourselves, and our children, safe. Technology changes quickly, and learning about it can feel overwhelming – especially at times of crisis. With this in mind the HWS endeavors to ensure that all staff are kept up-to-date on eSafety issues so we are able to guide women to ensure that eSafety becomes a standard part of all safety plans. eSafety is a term which means not only the internet but other ways in which people communicate using electronic media and technology, e.g. mobile phones, computers, apps etc. It means ensuring that people are protected from harm and supported to achieve the maximum benefit from new and developing technologies without risk. Safe access to technology is essential for women so they can stay connected to their family and friends, study, seek employment, engage with the world, and get information and support. Just because you have your mobile in your hand, and you need to key in a code to unlock its screen, doesn’t always mean it is safe….Do you know how safe your mobile is? Or your computer? Or even your TV? This quick, easy online quiz will help you find out! eSafetyWomen have developed this research to provide advice for women on how to take control of their online experiences. We know what stalking is… but what is cyber-stalking? Cyberstalking is a criminal offence where an individual uses technology to systematically harass or threaten someone. Cyberstalking can be perpetrated through email, social media, chat rooms, instant messaging clients and any other online medium. Cyberstalking can also occur in conjunction with the more traditional form of stalking, where the offender harasses the victim offline. Cyberstalking is sometimes referred to as Internet stalking, e-stalking or online stalking. Stalking is a crime in all states and territories in Australia. If you think someone is cyberstalking you, contact your local police – they can help you. 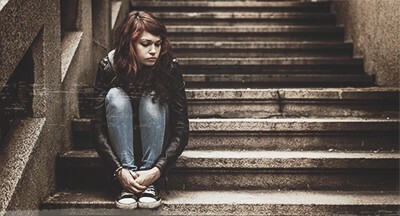 The above resources were developed as a part of the eSafetyWomen initiative, which has developed a number of resources to assist Australian women stay safe. eSafetyWomen is designed to empower Australian women to take control do their online experiences. Learn more about eSafetyWomen here.